HomeBlogBusiness Boosting TipsWhy Your Business Badly Need to Have a Website? https://codeivo.com/branding-via-web-design/We all know about the power of the internet today and I am sure that you accept it as a fact. 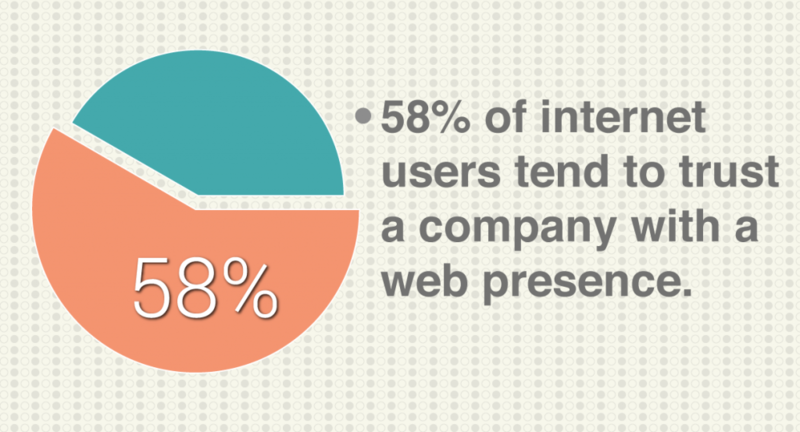 Now how do we utilize this power of Internet to get the best out of our business? You take multiple steps because you might have heard it from any social media marketer to have a presence on Instagram or Facebook. And along with this you might also have heard a lot that today your business don’t necessarily need a website. So let me tell you one thing, there may be some things that some social media platforms covers for you but there is a huge list that shows what they lack and only a website can get for you. We all agree that without marketing a business will die soon. 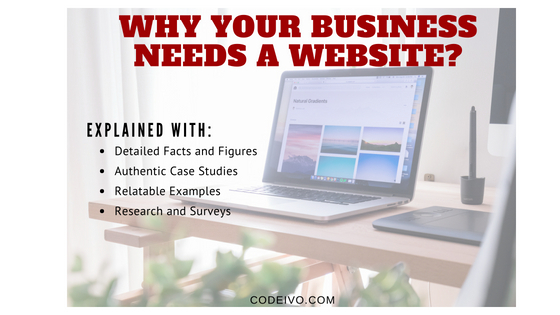 But before you spend any penny on some advertising campaigns on different platforms, before you run paid promotions or things of that nature you need to get a website as a foundation. 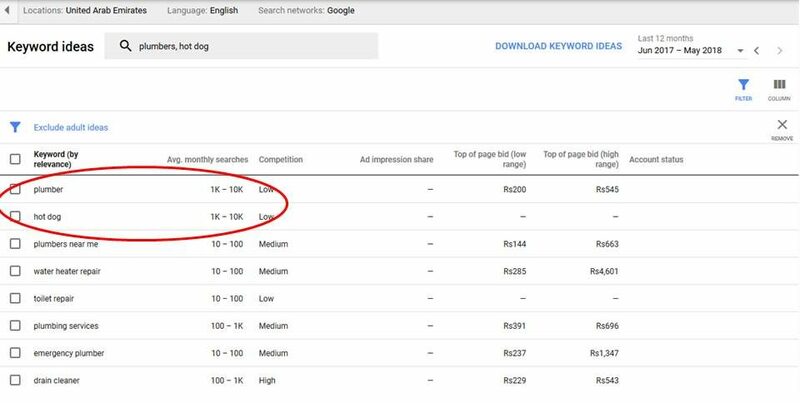 The reason for this is because when you create the advertising campaign you need to drive the traffic to somewhere the details of your product are completely given in a simpler and easy to understand way, and that can only happen if you have a website because its design can be changed the way you want it to be. For example checkout the picture below, all the details for the product are given there and for the user he will get all the necessary information very easily. 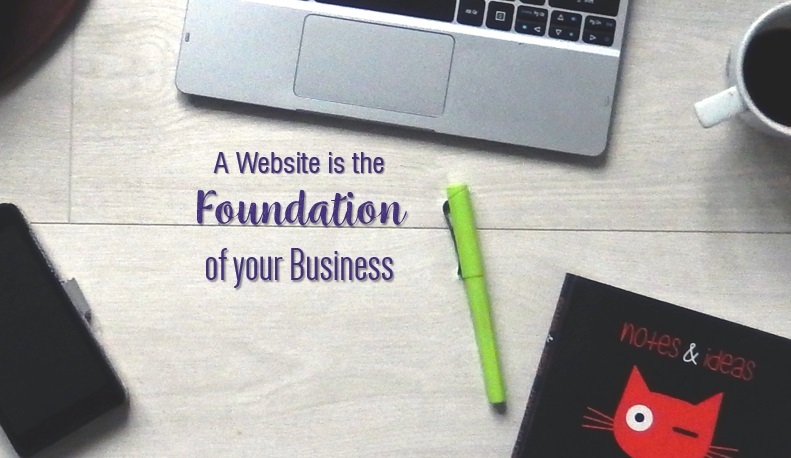 Just as said before a website acts like a foundation for your business. And no matter what size your business is or what industry you are into we all can agree that in 2018, Ranking your website in Google Search Engine can always help all of us getting more exposure. Just like the picture above shows the results of the Google Searches for the Keywords “Plumbers” and “Hot Dog”. Now these things aren’t what people usually look for on the internet right? But still it’s been searched about 10000 times an average month. Thus if plumbers or Hot Dogs get searched that much time how profitable would it be for you to get a website built and to get it ranked on Google’s Search Engine. 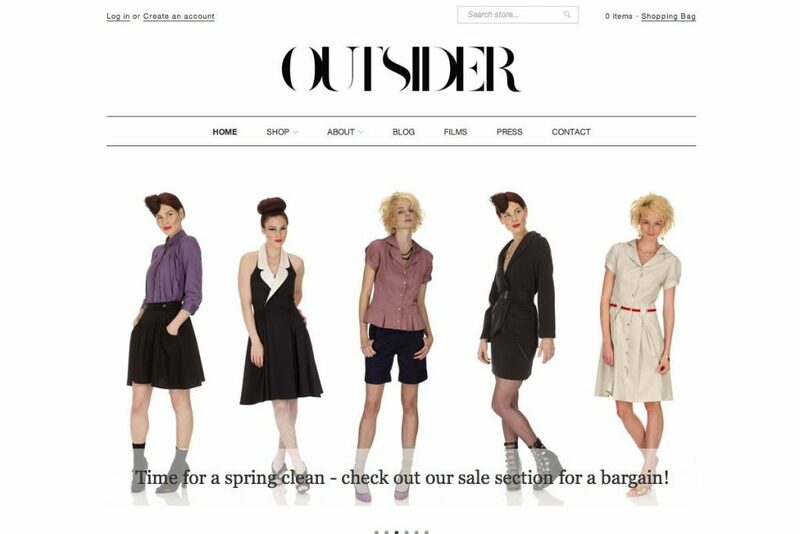 Your own website can get you more control on your design which in turn can help you brand better. 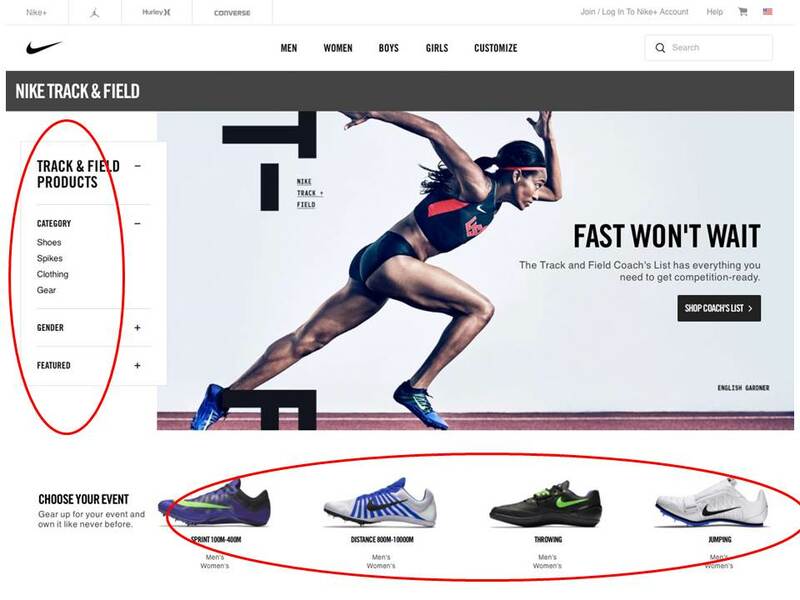 Every brand is different from other, even if they belong to the same industry. Look at the pictures below these are two ladies wear web designs and it shows the difference as the first one is funkier and the second one is comparatively decent. The way you want your brand to be shown in the eyes of the customer’s is the way you should get your website designed. Thus if you think by having a Facebook page or anything like that you are having a good internet presence for your brand, it’s a mistake. You need to have a website of your own where you could better showcase your brands position and Ideology as you have more control on it. All businesses need the best image in the customers eyes. And if you succeed in doing that your business is definitely going to succeed too. Now having a website for your business get the customer to believe that you are professionals, we are talking about the psychology of the customer that how does he feel about your brand. People do trust a company or a brand more when it has a website and “trust” is the number one thing every company thrives for and expect from their customers. 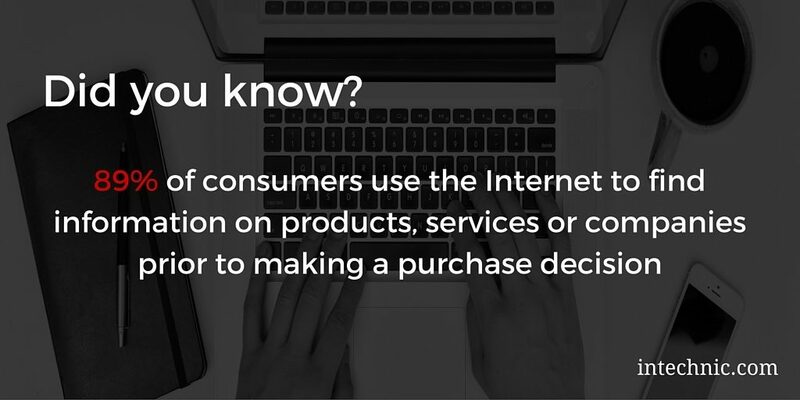 Similarly, about 97% of customers’ today checkout online reviews and search for that product before buying it. Now with this website you can see that there are lists and sections so that when the customer visits it he will click onto the section he want to visit only, it will keep his search comprehensive. Thus there will be better user experience and engagement. Your market must have competition just like there is competition in every industry or market in the world. You need to beat all the other competitors and that’s the only way your business can survive. 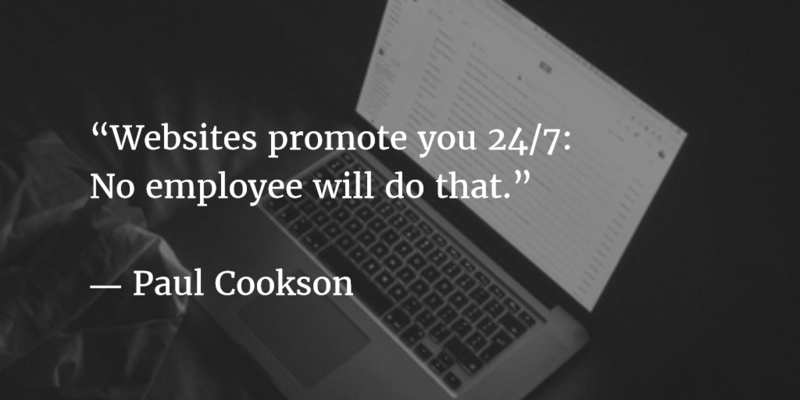 And this aggressiveness requires you to have a website because your competitors have it. This logic may not make any sense to some people but before judging what I just said have a look at the stats below. 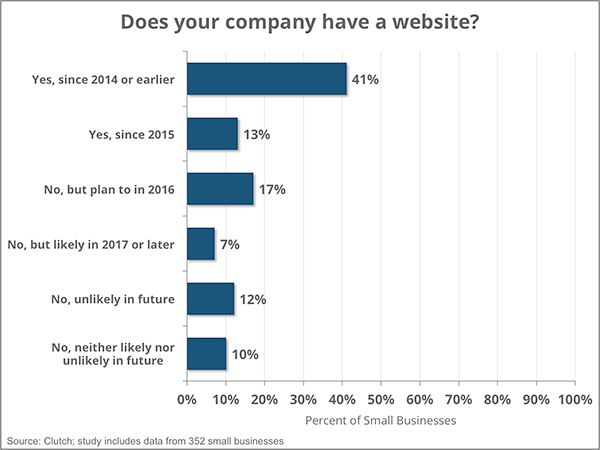 As you see above from all the businesses a great percentage of them already have a website since 2014 thus if you don’t have one yet you are definitely left behind and it’s time for you to stand up. A website is like a group of your employees working to serve everyone that visits your office the only difference will be that it works even when you sleep. Internet changed the way everyone use to look at any industry. 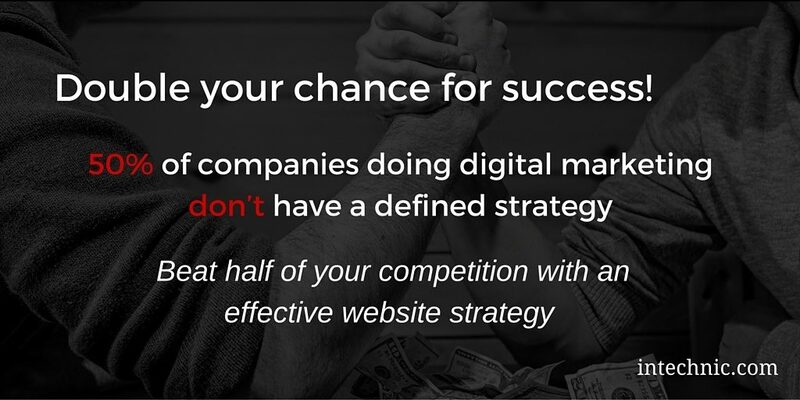 It’s because today every small brand or business have the opportunity to compete with the big names of its industry by being digital and up to date. Getting a website developed can be the first step forward towards this competitive journey. 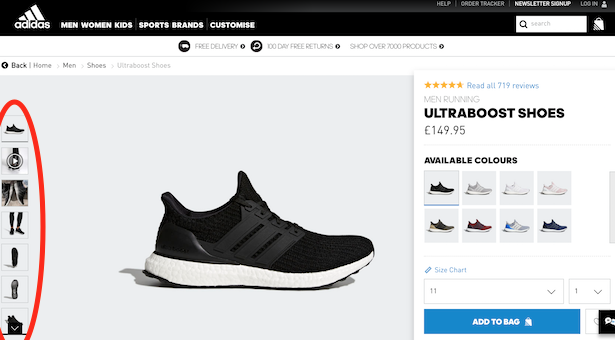 Now when a customer looks for a specific product and you know you offer that product better than some of the big brands of the industry than you have a chance to get the customer, because today customers are more interested in the quality of the product rather than getting it from a specific brand. People believe the internet like they use to believe other people when getting a review for a product and statically 89% of them do it.